Not a tequilla fan, but I bring this brightly coloured cocktail which is perfect for party evenings! This is a great drink which will hit you in the right amount at the right place. Do try this one! As much as I like Elvis Presley's singing, I have never liked a Blue Hawaii because of the blue liquor ingredient. Not sure the tequila would make me like Blue Curacao, either. 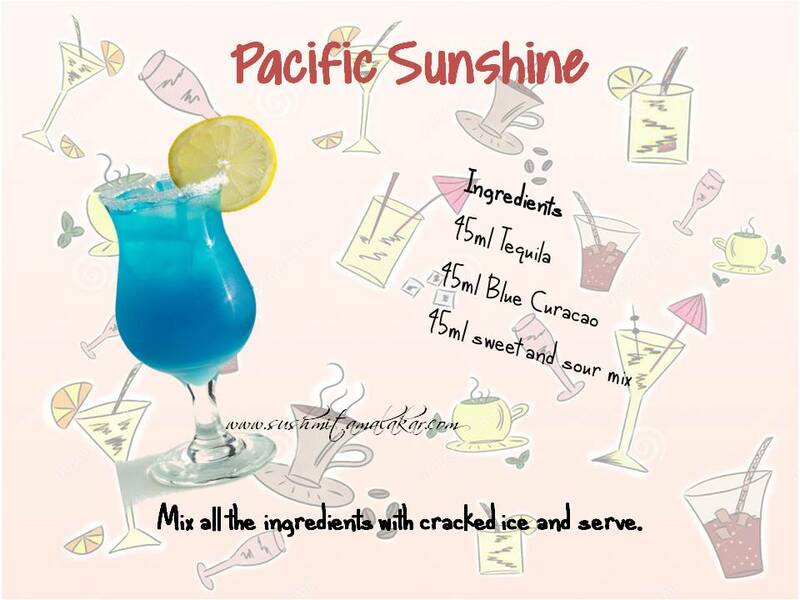 I do like the name of your drink, Pacific Sunshine, though. It would brighten anyone's day. I Like this one because of its bright blue color!